While your passion is admirable, your means of displaying that passion are coming across a bit...petulant. The captains I have selected for Challenge of the Immortals both expressed and demonstrated their passion for competition. And the fact that those 10 were chosen as captains above you does indeed say something about your approach to competition. It is true that you have been a member of the CHIKARA family for a while now, but you have also damaged a once stellar reputation. You have directly disobeyed your mentors' instructions. You've disrespected our tradition. You led your team into the seat of danger, unprepared for an enemy you were never capable of handling, and your peers paid dearly for your hubris. You have proven that you need to grow before you can lead. That's been the pattern over and over here at CHIKARA, trust me, I know. What happened to the eager young man who was always ready to learn? At CHIKARA we are like a symphony, and to function we must all read and play from the same page. But you...you tend to march to the beat of your own drum. To be clear; you do the direct opposite of what you're told to do, and for reasons I cannot fathom, you seem to think you should be rewarded for that. In my mind, the only thing that you have earned is the opportunity to learn more. And since you claim that you can defeat any captain "single-handedly," I've booked you in a 1-on-1 match against Dasher Hatfield. A man that takes sportsmanship very seriously. A talented veteran anyone on our roster could stand to learn a little bit from. This bit of education is slated for tomorrow. 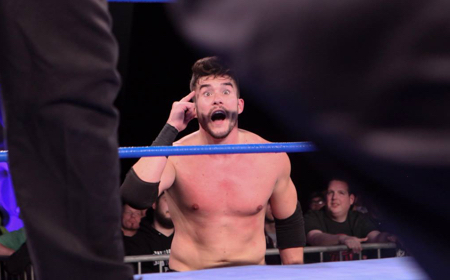 When you stand across the ring from Dasher, reflect on the ending of your match with Eddie Kingston from "A New Start." It's how you play the game. Your view of competition is a key component in the professional wrestler you will become. I wish you the best of luck in Gibsonville, and I hope you understand that any communications intended to be private between us will now be public. Fair game, y'know?